Safety Harness to use with an Autism Service Dog, Childharness.ca. Special Needs Harness to use with Autism Service Dog. 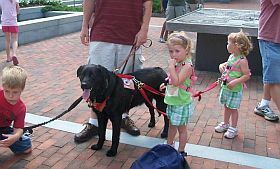 PLEASE NOTE: Tethering your child to your service dog means that you MUST have control of the dog AT ALL TIMES. If your dog bolts, your child will be dragged along behind. Childharness.ca assumes no responsibility or liability associated with use of any of our products, tethers included, since YOU are responsible for YOUR child at all times. 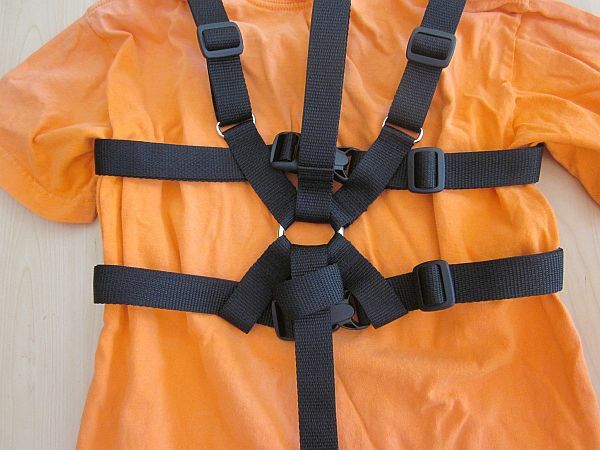 If you know that your child will easily remove their Waist Belt Tether System when connected to their autism service dog then this Safety Harness is the product you need. 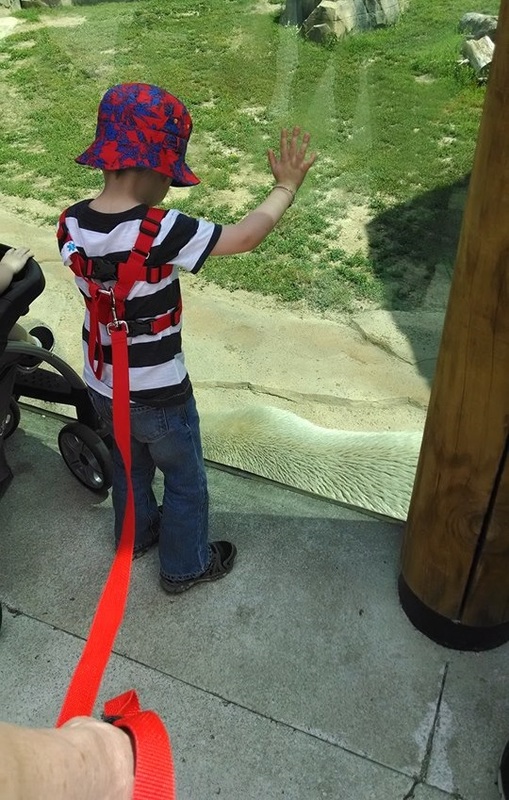 This Safety Harness has all the features of our Special Needs Safety Harness with an added slip-knot style front lead (tell us the length you want) that extends from the chest of the harness to the autism dog's collar. Your child will still be able to "independently" walk their autism dog if they wish using the lead provided by the training academy. A separate lead for the parent attaches to the back of the child's Safety Harness so it can be used as a regular walking harness when the dog is left at home. 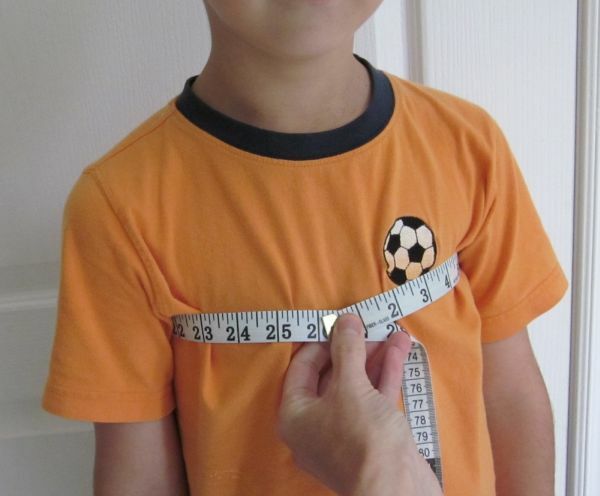 Use this order form regardless of your child's age or chest measurement. 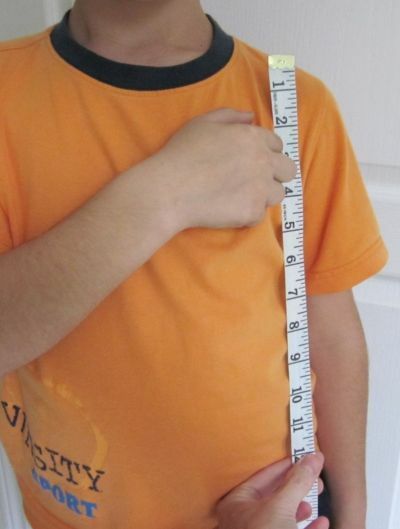 2nd child/person's measurements same as first? NOTE: For use when child is NOT tethered to their dog.